Now who doesn't like french fries!? No doubt it is one of the favourite snackies much loved by young and old alike. Given me a plate of fries, and I can just munch it all up in no time, cant you?! Well, it has a charm of its own. Sigh, the deep frying that goes in to make french fries piles up the calorie content in it, which is the only thing that makes me put on my breaks while munching on these goodies. How I wished there was an alternative! Voila... there is an alternative... and here it is! 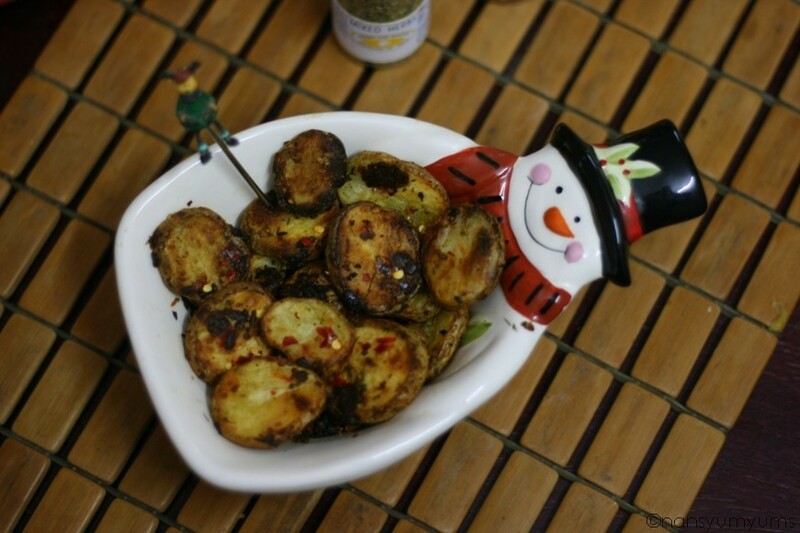 :) Here is a baked version of the good old french fries. 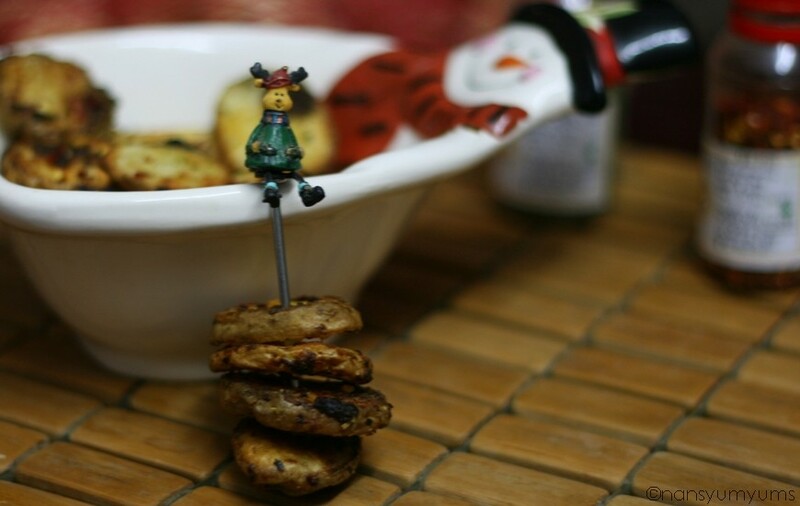 It uses much less oil and it is as yummy as its deep fried counterpart :) The best part here is, you can customize your potato crispies exactly the way you like it. Add in the spices you like, make it spicey or bland, cheesey or cheese-less ... well, just go creative :) I have used baby potatoes here just cos I found the little rounds cute :) you could go traditional and use big potatoes and cut them into long potato fingers to get the exact feel of the potato fries. Wash the baby potatoes and slice them into 4 vertical slices. Boil the slices for about 2 minutes in salted water. Drain water and transfer to a mixing bowl. Mix in the flour, herbs, chilli flakes and coriander leaves and a dash of oil. Drizzle some oil in a baking tray and transfer the potato mixture in it. Bake for about 30-40 minutes, until the potatoes look brown and crisp. Take them out once in between to turn over to ensure even baking. Keeping on the peel gives in a crispier finish and yes, saves you that extra work too :) If you dont like it, go ahead just peel it off. 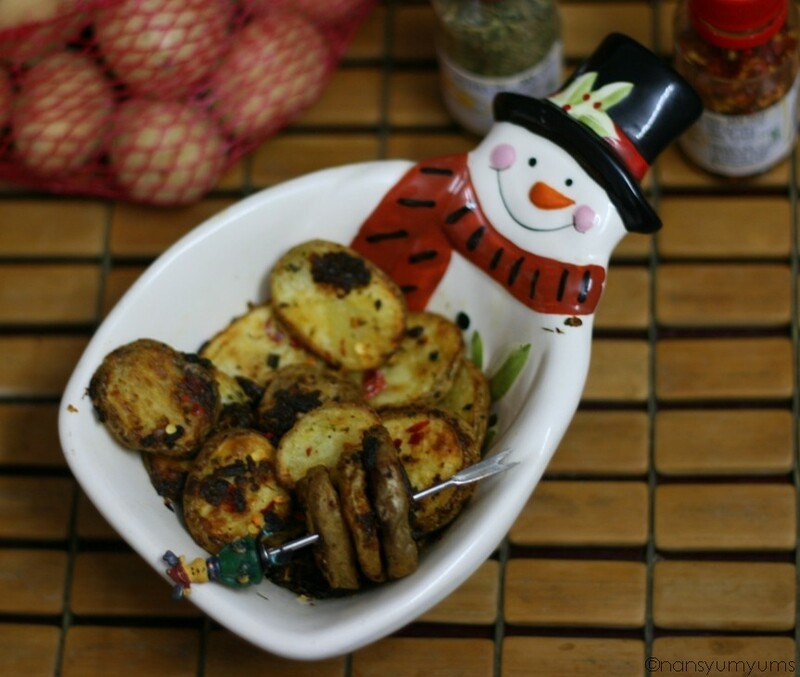 Red chillies tend to bake faster than the potatoes and hence may burn if added in the beginning itself. You could add it in during the break when you take it out to turn over once. Add more cheese if you prefer your potatoes cheesier. Wow luv the super roasted potatoes. How can I not love the cutie properties. Good collection. Just pass me the plate Nandita,I will finish it within seconds..SO much tempting. 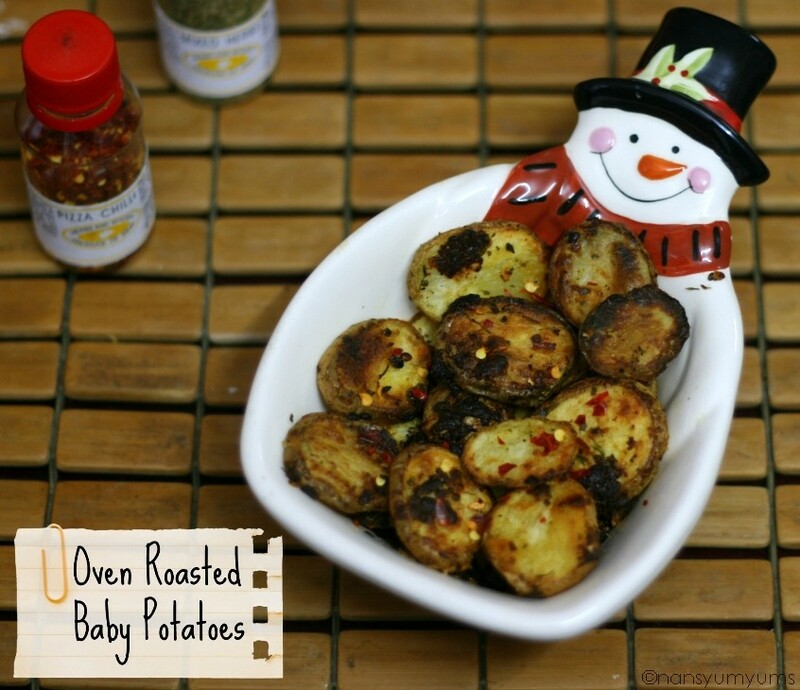 Baby potatoes looks crunchy amd yummy!! first time here love your blog!! 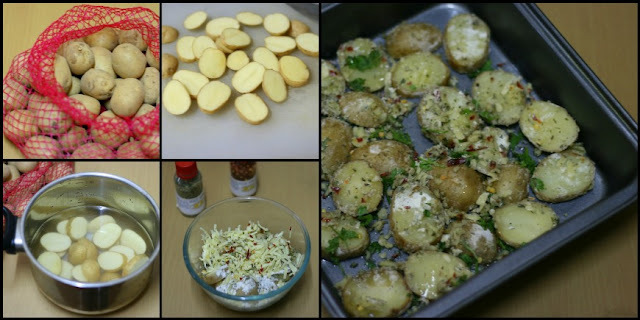 Love potatoes and these look so yummy..
what type of cheese should be used for all the indian recipes? Hello there! I used cheddar cheese for this recipe. But it is not that we use only cheddar cheese for all Indian recipes. Different recipes call for different kinds fo cheese. Cottage cheese is another popular cheese used in Indian recipes.